Hi friends, it’s just a few days before Christmas now. Chances are you have some last minute shopping and gifts to buy or make. I’m spending my morning putting together just a few more Gourmet Edible Gifts for Christmas presents and gift baskets. Hoping to pass on a little inspiration. 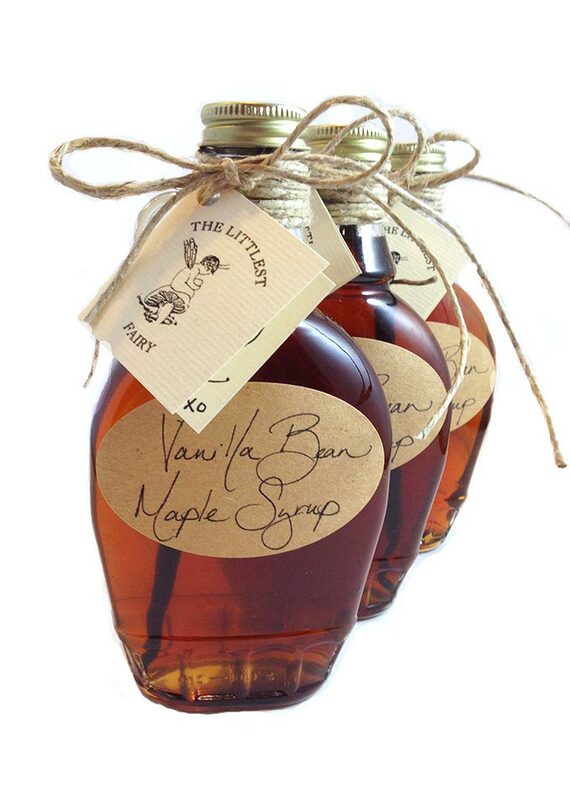 One of my all time favorite Gourmet Edible Gifts to make and give is Vanilla Bean Maple Syrup. It takes just 5 minutes to put together and is loved by all. (I just capped seven bottles this morning.) Being a New England girl, I rode around on a trailer behind a tractor on our property in Rhode Island, emptying sap buckets when I was a kid. I’ll never forget the amazing memories, mesmerized as the sap boiled down into syrup at Mr. Peck’s sugar house next door. I didn’t discover Vanilla Bean Maple Syrup until I was an adult though. This stuff is golden! A coveted gift with just three ingredients: pure maple syrup, vanilla bean paste and vanilla pods. Tastes divine on waffles, pancakes and ice cream. Or by the spoonful. 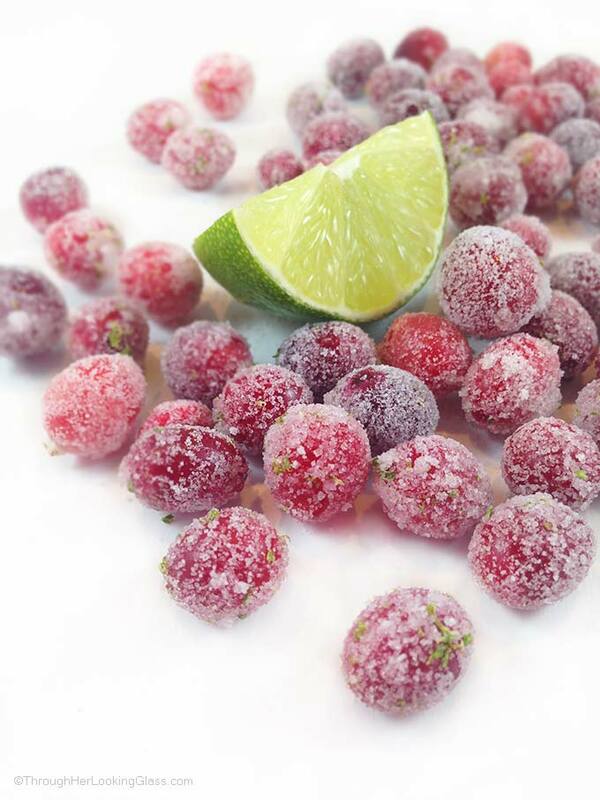 Lime Sugared Cranberries are a delicious addition to any gift basket and one of the best Gourmet Edible Gifts. Simultaneously sweet and tart, these little ruby gems are so sparkly and pretty. Perfect in mixed drinks, as cheesecake or cupcake toppers and for snacking. You’ll be surprised how easy they are to make. Soak the cranberries in hot simple syrup then roll in lime sugar. Delectable! 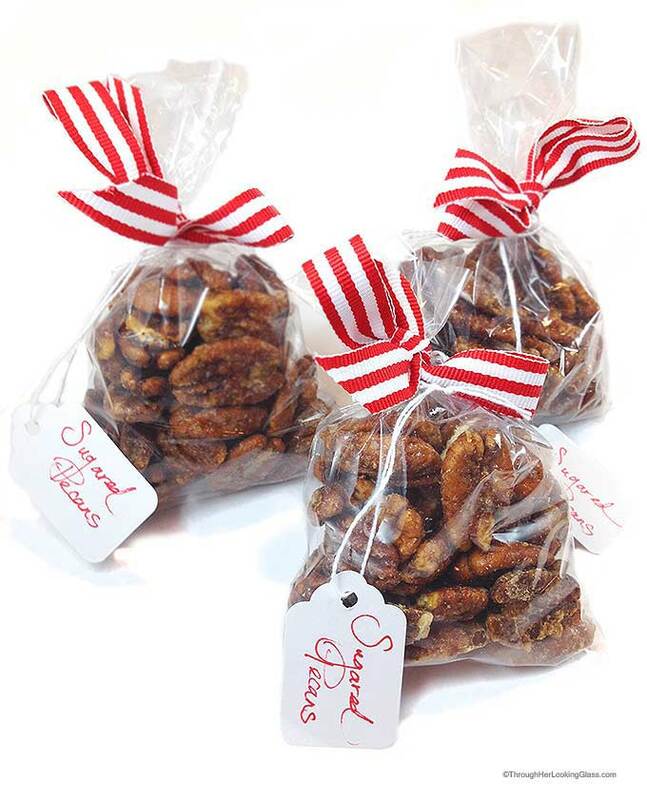 One last Gourmet Edible Gifts idea that barely takes any hands on time and yields two pounds of addictive snacking is Sugared Pecans. Pecans halves are coated with sugar and spices, then roasted in the oven on low heat for an hour and a half. These spiced nuts are a hit with all ages and I literally have to hide them at my house so they make it into gift baskets and stockings! These delicious treats are guaranteed to please everyone on your list. 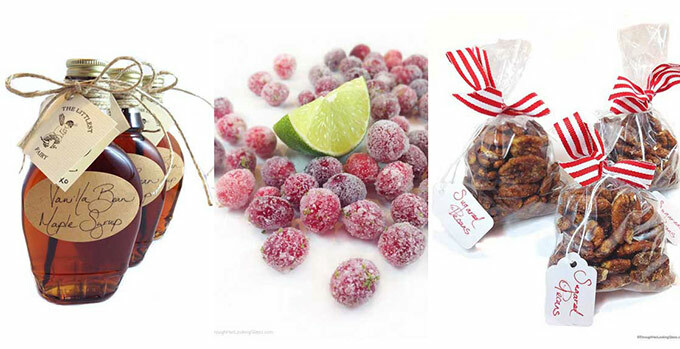 Would love to hear if you make any of these Gourmet Edible Gifts! Everything looks absolutely fabulous! The hardest thing is to decide which one to make!Have a Blessed Christmas! Forget gifting, there's a few of these I want for myself! Oh, I'd certainly want to receive one of these! What great and delicious ideas you have here! 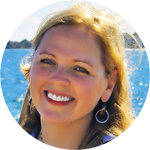 Allie, wishing you and your family a most blessed Christmas! So glad to have connected with you this year!!! I made your Sugared Pecans as gifts....warmly received and they sure are yummy...saved some for us. Merry Christmas!!! Happy Grace Filled 2016!!!! This will be first in 48 years that our family will not be together with Mark and family now in SC...we were just there in early Dec. and they have house guests...am sad but we will have a great time with Sharon and Todd. Perfect gifts for neighbors, coworker or even friends and family! These all look so yummy, and I love your story of you being a kid and the sap buckets. I am spoiled now, here in our part of NC we have Moravian goodness all around, especially at Christmas. So we just go to one of the shops and they do all the work and we send it away. You are so talented though, and I envy that…..maybe another year, I will make things from scratch instead. 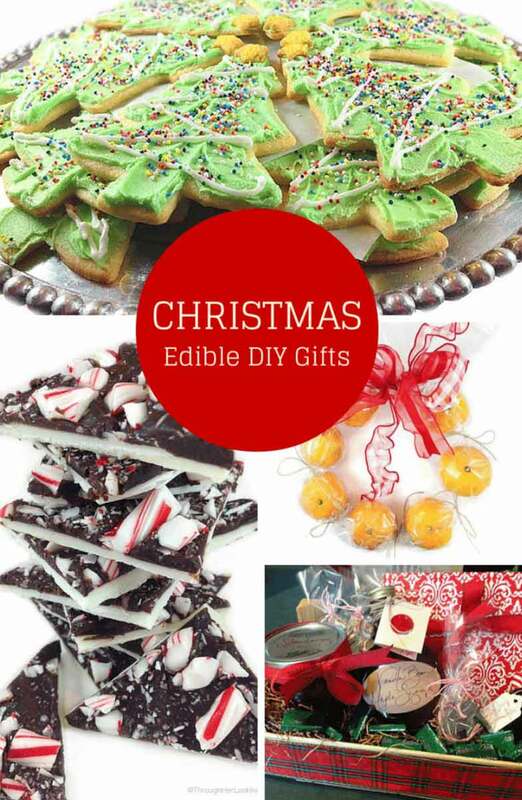 Homemade edible gifts are always such a treat. I love maple syrup and the vanilla one sounds fab. Those sugared cranberries are so pretty and tasty too, I have no doubt!